View of the park with the minaret folly. Almost 300 sq. km. of UNESCO-protected landscape, comprising two villages, a smattering of palaces, a gazillion trees, and numerous bike paths. Formerly owned by the Liechtensteins. 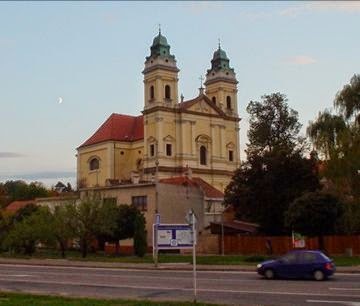 When people ask me where to go in Czechia, I always recommend Lednice-Valtice. It's got a fascinating history. It's got gorgeous Mitteleuropean architecture. It's perfect for walks, cycle trips and picnics among the green forests and fields. And its juicy history includes ethnic cleansing as well as evil Nazis and Commies. Also, if you're beer-ed out after a sojourn in the Czech Lands, this is a winegrowing area, with plenty of opportunity to sample. In Southern Moravia, not far from the Austrian border. Map. YOU'VE HEARD OF Liechtenstein, right? Once, Lednice-Valtice was the private property of the Liechtenstein family (who, being German-speaking, referred to it as Eisgrub and Feldsberg.) But not anymore... If I were them, I'd want it back too... read on! 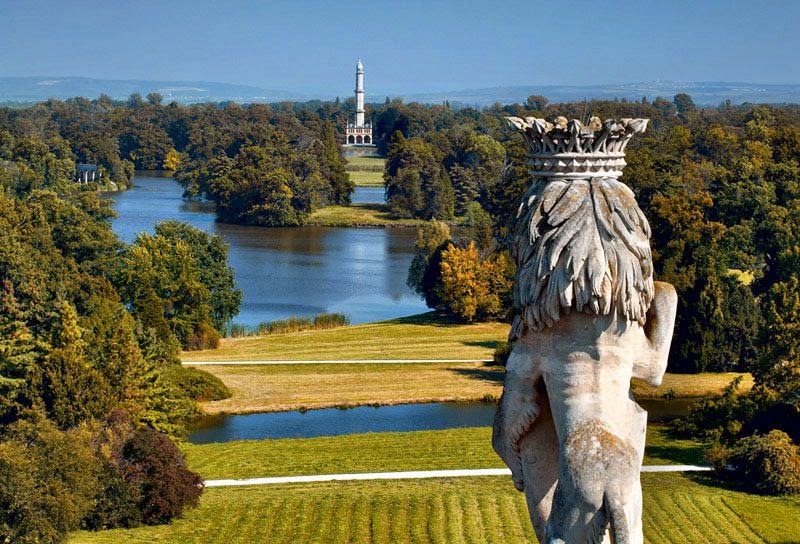 But Lednice & Valtice were not just country estates- they were the official residence of the Liechtensteins who first settled here in 1249, and spent the next 700 or so years landscaping and building it into a unique man-made landscape, nicknamed 'The Garden of Europe'. Liechtenstein proper, although an independent country, was more of a legal technically that awarded certain benefits and the family only made it its principal seat in 1939. Valtice castle- the Liechtensteins' former home base. Although they were German-speaking, the Liechtensteins considered themselves to be Czechs, and Lednice-Valtice was their home. After the annexation of Czech Sudetenland by Nazi Germany, the Liechtensteins protested vociferously. While France, the UK, and Italy agreed with Germany that it could carve up Czechoslovakia (whose opinion was not sought), Liechtenstein refused to ratify the agreement which it saw as a betrayal in the face of intimidation by Hitler (and rightly so). After WWII ended, three million ethnic Germans were labelled collaborators, and were unceremoniously ethnically cleansed out of Czechoslavakia, their property confiscated. Lednice-Valtice was taken by the state, in spite of protests by the Liechtensteins who could rightly claim to have been victims of Nazi oppression, having opposed them publicly. But by then the Communists started to take control, and handing back a large estate to land-owning capitalists was out of the question. Lednice-Valtice remained property of the Czechoslovak state and the Liechtensteins stayed in exile in Vaduz. Then 1989 came along, the Communist regime collapsed, and by 1993, after the Velvet Divorce, the Czech Republic was an independent, capitalist country, on its way to joining the EU. Property seized by the Communists was being handed back to its rightful owners. The Liechtensteins politely asked if they, perhaps, too could have their property back. That did not go down too well. The Czechs painted them as traitors who rightly had been booted out and now were making territorial claims on Czech land. In retaliation, the newly independent Czech Republic refused to recognize the principality of Liechtenstein as an independent state. This was a bit rich given that Liechtenstein has been a sovereign state 187 years longer than the Czech Republic has...but by 2009 the air had cleared a little and the Czech Republic and Liechtenstein started diplomatic relations. So, long story short... Lednice-Valtice is still owned by the Czech state. As a casual visitor, this doesn't make any difference but knowing the long and complicated history of the area provides a whole new understanding of it. 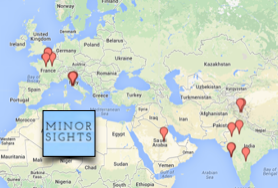 Well, now that we've got the history bit out of the way, what's there to see and do? Plenty. How's your Czech? This local map shows some of the sights of the Lednice-Valtice area. The large estate is ideal for cycling and walking and many paths traverse the forests and fields. 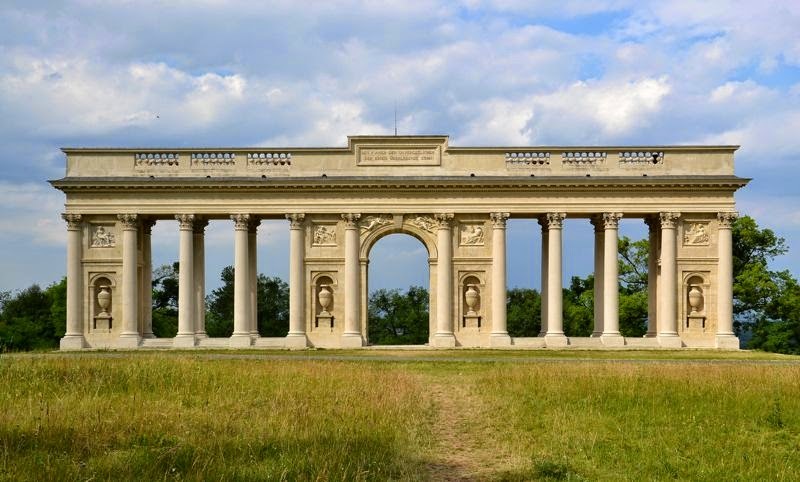 The estate is also dotted with follies, as the Liechtensteins decorated their park with fake ruins, temples, a minaret, a triumphal arch, and what have you. Oops! Did i take a wrong turn and cycle all the way to Paris? Then of course there are the two Baroque chateaux, with magnificent gardens (Lednice has extensive greenhouses) and each with a village attached- both well-preserved examples of small Baroque towns. Valtice's church is rather large for such a small town. Because there is little modern construction, it feels much like it did when the Liechtensteins left, more than 70 years ago. If you're lucky enough to be here around September, you're in for a treat. Burčák is partially fermented young wine, made just after the grape harvest, and only available for a few weeks... be careful though, it tastes like juice but it's definitely got a little kick to it. 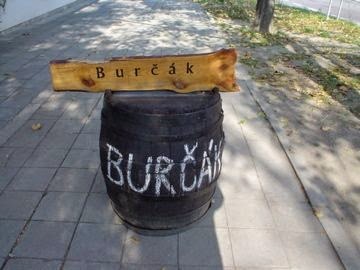 Don't worry about finding it- if it's the right season, Burčák will find you... If its not the season, you'll have to make do with the local wines- which can be excellent. Your soon-to-be new best friend is here: Burčák has arrived. Valtice has a train station. It's walking distance from the village. You can rent bikes locally. 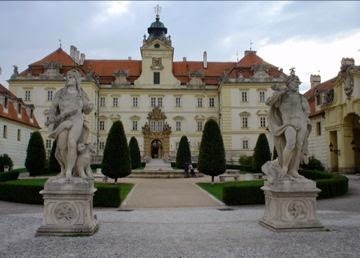 Unesco Czech Heritage page on Lednice-Valtice. Prague Post 'Waiting & Freezing' article on the Liechtensteins' legal battles.